Gallery 360 is hold "Ben Patterson perfomance" at the gallery. It is commemoration of Patterson's first visit to Japan and tough trip "MY GRAND 70th BIRTHDAY TOUR". 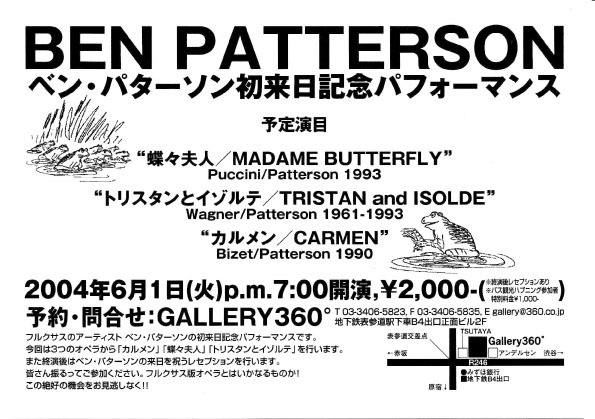 The three opera programs are Patterson's master pieces in 90's. All fee of the sales will be payed Patterson's returning trip cost.